that you put the correct tenancy name that you want to be using for SharePoint and other services going forward. 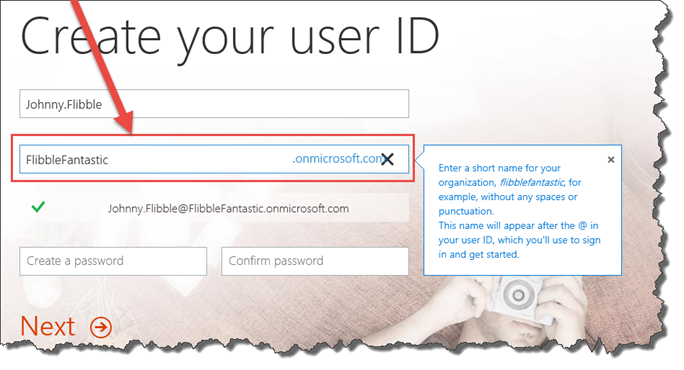 Because even after you align your domain name of FlibbleFantastic.co.uk and your users are all signing in as username@flibblefantastic.co.uk, they’ll still be logging on to FlibbleWorks.sharepoint.com for ever more! !